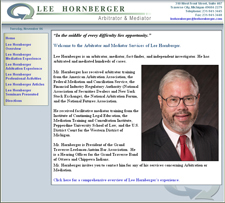 Lee Hornberger is an arbitrator, mediator, fact-finder, and independent investigator. He has arbitrated and mediated hundreds of cases. Mr. Hornberger has received arbitrator training from the American Arbitration Association, the Federal Mediation and Conciliation Service, the Financial Industry Regulatory Authority (National Association of Securities Dealers and New York Stock Exchange), the National Arbitration Forum, and the National Futures Association. 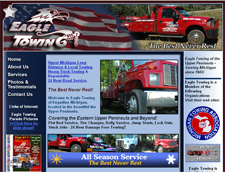 With a history of towing, fire fighting, public safety and experience as an Emergency Medical Technician � residents and visitors to the Upper Peninsula alike can entrust the company Eagle Towing for their emergency and non-emergency needs. 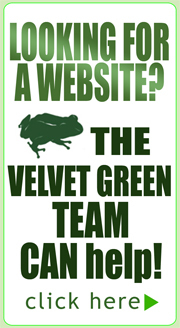 Owner Mark �Da Moose� Sternberg has created this successful company using his extensive knowledge and skills to deliver these numerous unsurpassed services! 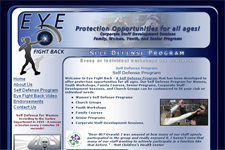 A Self Defense Program that has been developed to offer protection opportunities for all ages. Our Self Defense Program for Women, Youth Workshops, Family Courses, Senior Programs, Corporate Staff Development Sessions, and Church Groups can be customized to fit your club or individual needs. We are your Upper Michigan mobile disc jockey company to call for your next event whether it be a Wedding, Anniversary, Class Reunion, School Dance, Christmas Party or any number of functions. My name is Shane Larson and I am the Owner and Disc Jockey of the Dancing Machine. We have played for many different kinds of events over the past 25 yrs. We specialize in weddings and in helping you plan your special night. In paying attention to our bride & grooms every need and want through out the night makes us the ones to rely on for your special night.